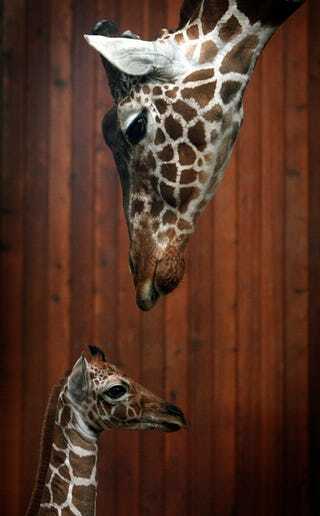 Baby giraffe 'Kibo' is observed by his father in their enclosure at the zoo in Cologne, western Germany. The young animal born at the zoo is estimated to have a weight of about 80 kilograms (176 lbs.) and to be 1,80 meters (about 6 feet) tall.